The shoulder has both, a versatile and wide range of movement (ROM). When impaired, the ability to move freely is hampered. This can lead to pain and discomfort. The shoulder is the most mobile joint in the body and gets their ROM from the rotator cuff, a system of stabilisation provided by 4 muscles. Damage to this can inhibit movement of the arms above the head. 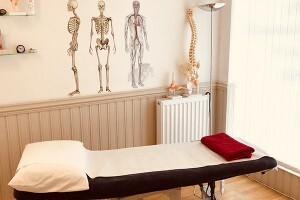 Before the onset of injury, soft tissues of the shoulder namely; muscles, tendons and ligaments, are placed under daily stress from personal and work stressors. Over time this can lead to imbalance and ultimately injury. 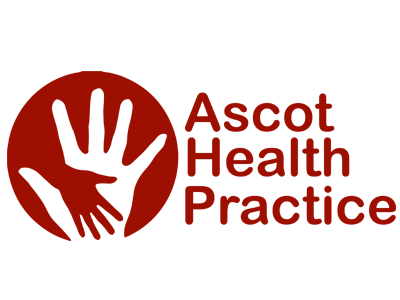 A soft tissue injury in the shoulder, can then result from a strain or sprain from movement beyond its normal limit or from direct impact. 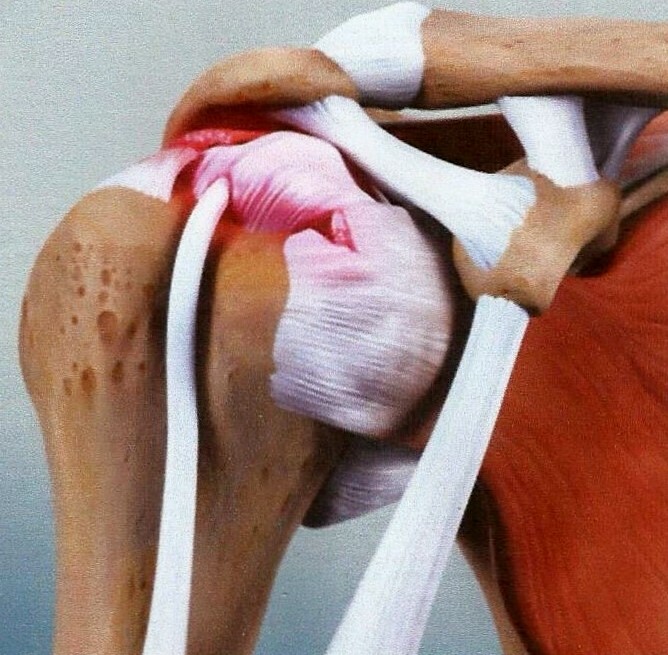 In addition, the shoulder complex is a common spot for injury that also includes tendinitis and bursitis which create inflammation. Golfers that have restricted movement in the trunk can put additional stress through the shoulder rotator cuff upon swing impact. Gym users engaging in heavy barbell work (chest pressing), similarly, can place too much stress upon the rotator cuff. CAN I LIFT WEIGHTS WITH ROTATOR CUFF INJURY? 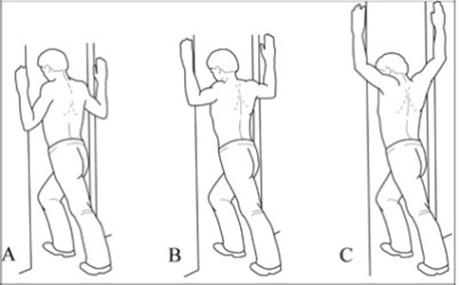 Avoid overhead lifting as this will involve total rotator cuff stability. Exercises to avoid are; military press and shoulder press. In the presence of pain lower the arm until the pain abates. 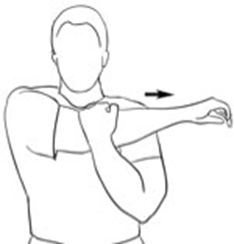 The goal here is to be able to able to gently pull the arm across the chest with the absence of pain (as shown below). 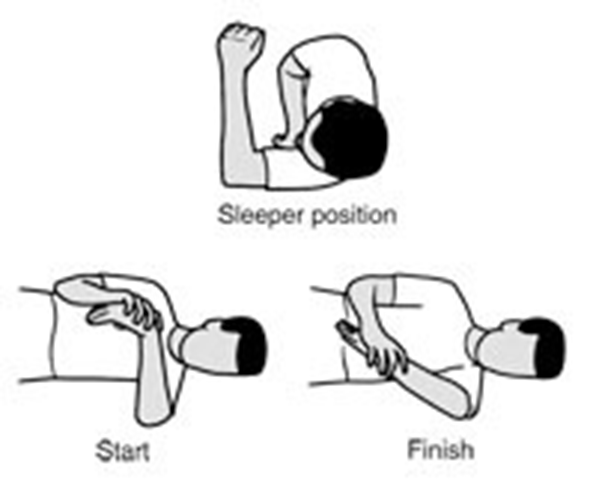 In the presence of shoulder dysfunction the biceps will work excessively to assist shoulder stability. The chest muscles will also tighten. 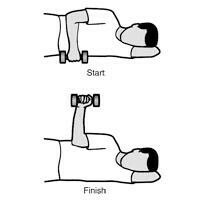 Simple shoulder exercises can assist in stretching and strengthening muscles and rotator cuff tendons.